One thing you should know about me is that I am a total wuss when it comes to things that are even remotely scary. I never watch horror films, and I avoid most crime shows, because “CSI” gives me nightmares. This is because I’m more frightened by scenarios that have real-life potential. I’m totally fine with White Walkers, Nazgul, and Dementors, but serial killers and kidnappers? No thanks! 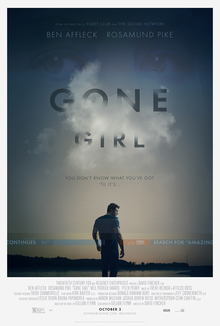 So I surprised myself by going to “Gone Girl,” the adaptation of the bestselling thriller by Gillian Flynn. I hadn’t read the book (see reasons above), but I had heard enough about it to know that it wouldn’t be my cup of tea. However, I figured that since the twist had been spoiled for me by the blogosphere, I could handle the suspense. Holy moly, was I on the edge of my seat! I made the mistake of seeing this movie in theaters at 10pm, causing me to lose a lot of sleep. Be forewarned: your mind will be reeling from replaying scenes over and over–not to mention, it will make you doubt your trust in your loved ones and go to bed with one eye open! For those few readers unaware of this story, it follows Amy Elliott-Dunne, who has gone missing on her fifth anniversary to her husband Nick. Nick is immediately suspected for her disappearance, especially after investigators discover her diary that describes his past aggression and violent attacks toward her. Once the public hears that Amy was pregnant and Nick had been committing adultery with one of his students, all hell breaks loose and he is branded as a wife-killer. It’s up to his legal defense and his sister Margo to help him escape imprisonment and possibly the death penalty. What I wasn’t aware of was how early the twist is revealed. I won’t spoil anything, but once the plot develops, it becomes an exhilarating new kind of story. Between the two unreliable narrators, it’s a race to the finish on who will be the more convincing. As a former journalist and student of media studies, what I loved most about this film was its spotlight on the importance of public perception during high-profile court cases. 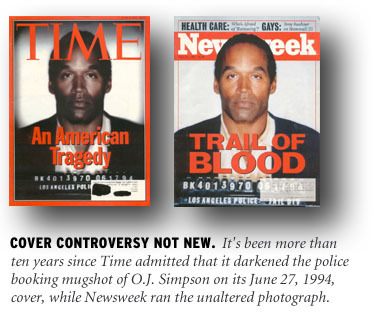 One only has to look at the cases of O.J. Simpson, Scott Peterson, Casey Anthony, and even Darren Wilson to understand that how people view you is infinitely more vital than your verdict. Whether you’re guilty, innocent, or awaiting judgment like Bill Cosby, your reputation is everything. Nick Dunne was fighting not only for his life, but also for his name. It’s intriguing to theorize how “Gone Girl” would have been different if Nick and Amy swapped genders or if they were people of color. Privilege is often the greatest ally you can have to protecting your perception. If you’re looking for a movie that will keep you up at night thinking, then “Gone Girl” is for you. Ben Affleck and Rosamund Pike are absolutely fantastic in this Oscar-worthy film directed by David Fincher (the genius behind “Fight Club” and “The Social Network”) and written by author Gillian Flynn herself; Neil Patrick Harris and Tyler Perry are excellent at playing their parts as well. I may not have planned to see this movie, but I’m so glad that I did! This entry was posted in Movie Review and tagged Ben Affleck, crime, David Fincher, Gillian Flynn, Gone Girl, movie review, Neil Patrick Harris, Rosamund Pike, suspense, thriller, Tyler Perry by Book Club Babe. Bookmark the permalink.